Home » Blog » ABC Editorial » All Ball Chatter (ABC) » Uncategorized » The Bigger They Are…. The bigger they are the harder they fall. Or that’s at least what has happened in the last few weeks for the Texas Rangers. 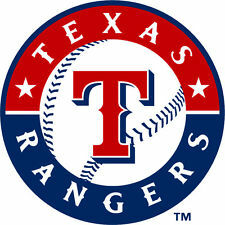 In the last ten games before the All Star Break, the Rangers have given up a total of 87 runs while they have posted up 38. Their record during this poor streak is an astonishing 3-7. This hasn’t impacted them in the slightest, as they have gone into the break with a league high 54-36 record. In the National League, the Cubs have been struck with a similar situation, going into the break having won only 2 of their last 10. The Rangers have had massive pitching issues. A glaring result of the 38-87 run statistic. Chicago has fallen victim to a lack of runs scored while putting up rather average pitching performances. Which of these teams, these giants, will turn the ship around in their head-to-head matchup immediately after the break?